Sanam Re Lyrics | Female Cover | Diya Ghosh ft DJ Lolly: Watch & Listen the latest hit song of 2016 'Sanam Re' title song in the other female voice of Diya Ghosh and music re-arrangement or programming by DJ Lolly. The song Sanam Re sung by Diya Ghosh for female vocal and video of song shoot & editing by Diya Ghosh. Original song from the same name Bollywood romantic drama movie 'Sanam Re (2016)', sung by Arijit Singh, music composed & lyrics penned by Mithoon. Movie featuring Yami Gautam, Pulkit Samrat & Urvashi Rautela in leading roles. 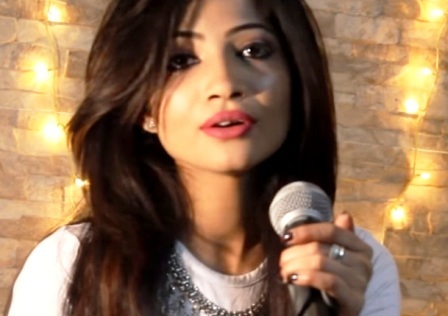 So, listen and watch video song of beautiful romantic song in beautiful female voice by Diya Ghosh, also watch the Sanam Re Song Female Cover by Shirley Setia.